We're back for ROUND 2, bringing with us some of the top selectas to entertain and educate the people. Loaded with the rudest, dubbed out basslines and duttiest riddms, we're packing out the club with next level interactive decor and visuals to transport you back to the beating heart of the jungle. 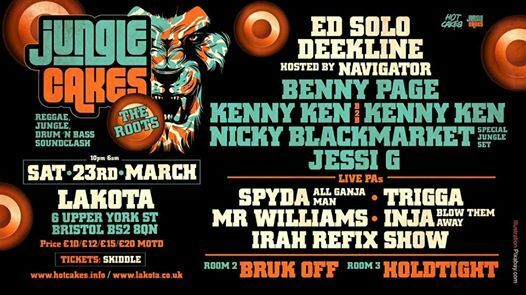 We love celebrating UK soundsystem culture, and there's nowhere better to do it than its spiritual home of Bristol. 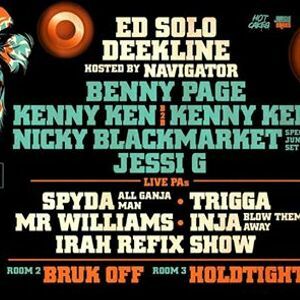 Expect a carnivalesque tribute to the true roots of Ed Solo and Deekline’s celebrated label and club night, delving deep into reggae, dancehall, jungle and dub music. The apex predators have returned to their rightful place at the head of the pack. Jungle Cakes is back.. ?